A lot of our time is spent looking for how to improve the day just a tad more, how to make it just a tiny bit brighter. Likewise, Opera is shaping the way we use the web. Little by little, we innovate and improve, one version at a time. 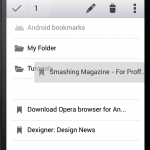 Have you been longing for more structure and nested folders? 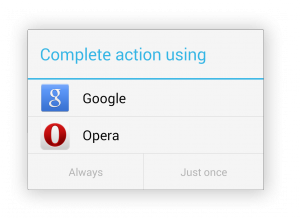 In this new version of Opera, we have added bookmarks and placed the feature where you can easily find it. 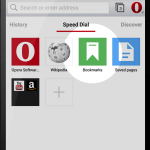 Just tap the bookmarks icon on the Speed Dial, and you can arrange your bookmarks in any folders you like. 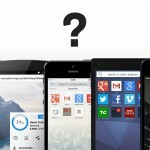 You can drag, drop, select multiple entries and swipe to delete. It’s all there. 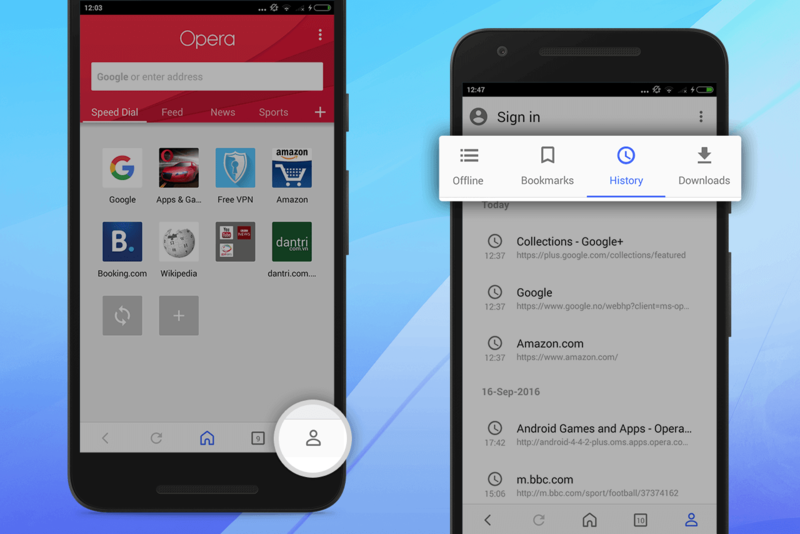 Any existing Android bookmarks you may have are available in a separate bookmarks folder..
You can now keep better track of your favorite sites in Speed Dial. Add a new entry simply by tapping the big + button. You can now also edit a Speed Dial entry by long-tapping and dragging it to Edit at the top of the screen. 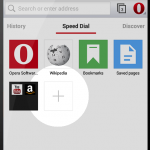 Now, Opera for Android makes online search even more easy. 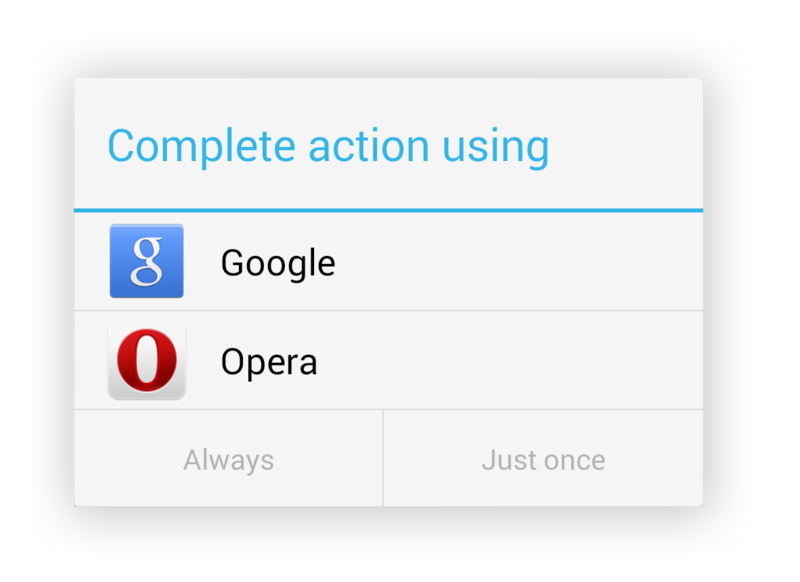 Just swipe upwards from anywhere on your Android device, even outside the Opera browser, and you’ll start a search. It’s all about making small improvements, but huge impact. 2. 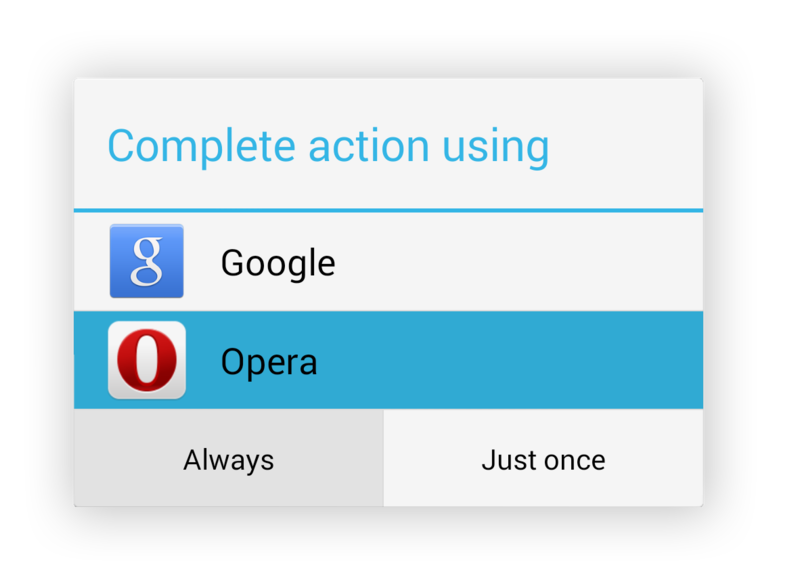 Tap Opera for Android; then, tap Always. 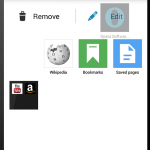 Note: The swipe-to-search gesture is only available on Android 4.1 and above, and, on some devices, this action is invoked by long-pressing the home button instead. 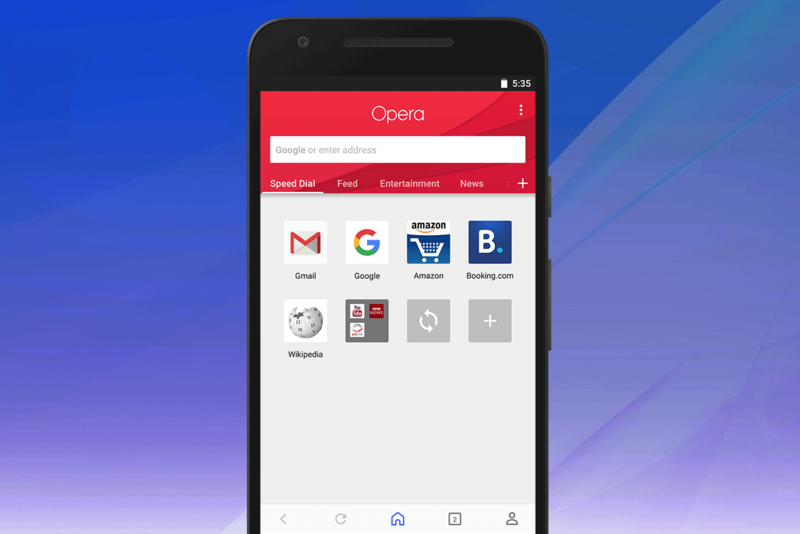 Previous article: Free Android app is out to rescue Latin American data plansNext article: Where in the world is Opera Max?